Not just for Christmas, but any time you need Perfect Cut Out Cookies to decorate - this recipe will be your go-to. No more crispy, amorphous, bland cookies! Last year, I realized that I used to make sugar cookies and decorate them for every single holiday with my mom. Halloween, Easter, Christmas - every.single.holiday. And I loved it. Nick's momma has done cookies with the kids on Christmas a few times and they loved it, so I really wanted to start making it a tradition for my kids. 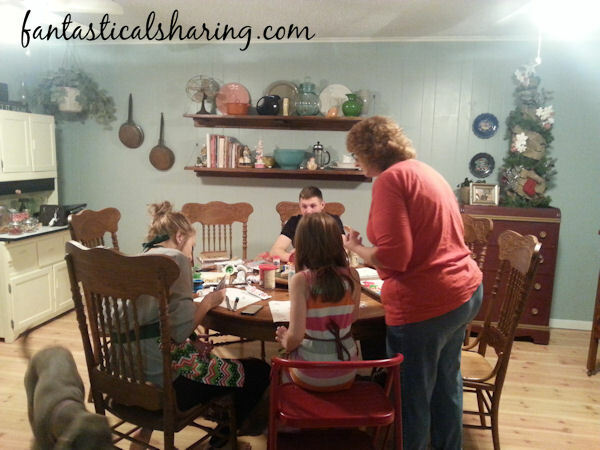 Last Christmas Eve, we got together at Nick's mom's house to do cookies and our gingerbread house. I prepped this recipe (first time making it) at my house and brought it to her house along with all my cookie cutters and decorating stuff. All of us decorating cookies and had a good ole time. I had yet to find a no-fail sugar cookie recipe until I made this one. We often had crispy, amorphous, bland cookies. Like a lot. These are soft with a little crunch and taste incredible. Bridget of Bake at 350 is definitely a trusted source for beautiful cookies and her tip for freezing the cookies before baking them worked out WONDERFULLY. I am thrilled that I found a recipe to keep and it makes a ton of cookies. We even decorated gingerbread men shapes as reindeer and our snowmen as penguins. Some of the gingerbread men/women got a little cyclops/triclops thing going on. The kids enjoyed themselves to say the very least. 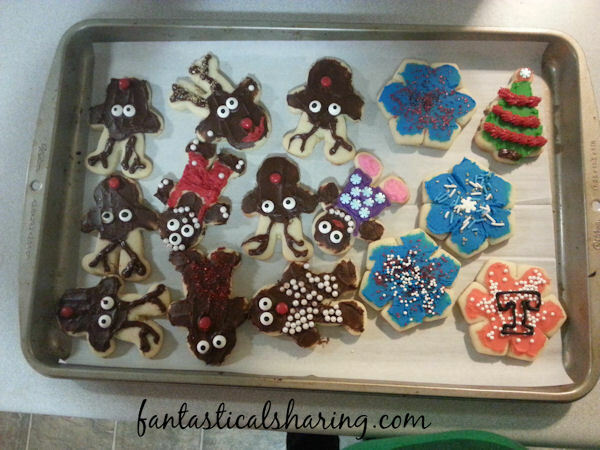 Does your family have a tradition for every holiday like decorating cookies? Is there something that is a staple for Christmas? Add the egg and extracts and mix together. Stir together flour and baking powder in a separate bowl and then add slowly into butter mixture until just combined. Scrape the sides and bottom every so often. It will look crumbly and that is A-Okay! Grab the dough from the bowl and knead it together gently to form a ball. Roll the ball of dough on a lightly floured surface around 1/4 of an inch thick. 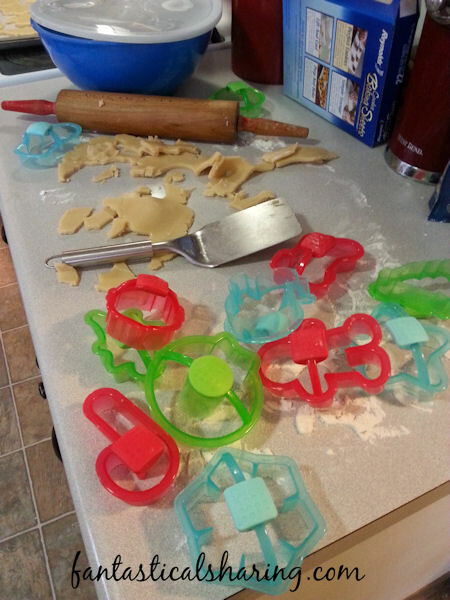 Use cookie cutters to cut shapes out. 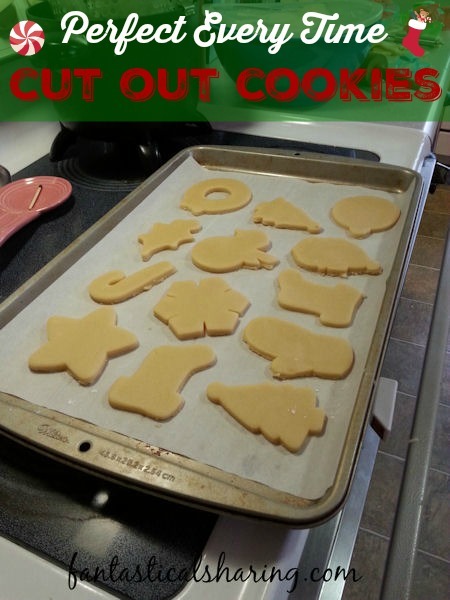 Put the cookie shapes onto a parchment paper lined cookie sheet. Place in the freezer for about 5 minutes. This keeps them from spreading out. Bake in a preheated 350* oven for 10 to 12 minutes. Let rest on sheet for about 2 minutes and remove to a wire rack to finish cooling. Reroll the dough out and cut more shapes, freeze, and bake until you have used up your dough. 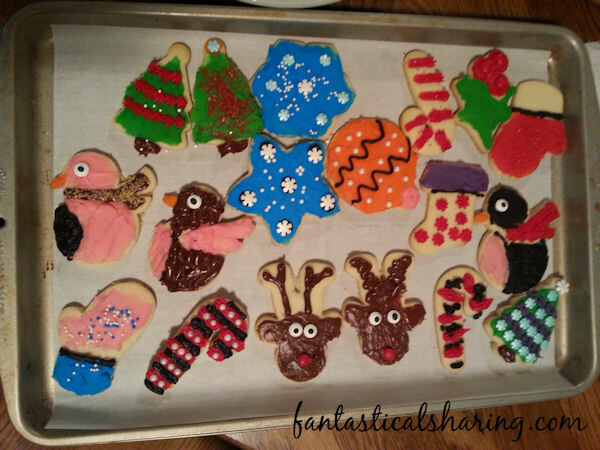 Decorate cooled cookies as desired! Note: You can freeze any "leftover" dough if you want. Wrap it in plastic cling wrap and then place in a plastic baggie (squeezing out any extra air). It keeps for 3 to 6 months!